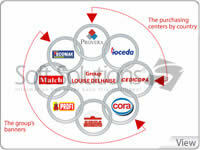 Established in 1850, the European based Group named after its founder, Louis Delhaize, successfully operates under multiple retail formats such as, hypermarkets, supermarkets, hard discounters, and e-commerce. 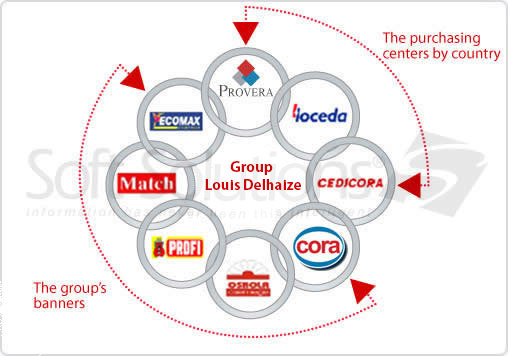 Group Louis Delhaize is present in France, Belgium, Luxemburg, Hungary, the Antillas and Guyana under the following banners: Cora, PROFI, Match and Ecomax. 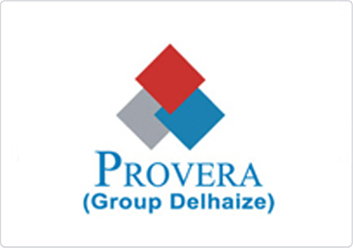 With over 160 years of experience in the retail industry and over 517 stores strong, Louis Delhaize Group is comprised of the following banners and purchase centers respectively: Match, Cora, Ecomax, Profi among others and Provera, Cedicora. 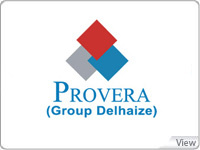 Sales turnover in 2006: €11 billion. Covering 3 countries: France, Belgium and Luxemburg. Scattered over France, Belgium, Luxemburg, Hungary, the Antillas and Guyana. 146 PROFI Hard discount stores. In the Antillas and Guyana. "It was a major challenge, implementing a fully operational solution, and in record time to go-live. We exist in a business environment that requires speed, and Soft Solutions ability to react to our needs was quite satisfactory."